Hi everyone! Sorry for the low volume of posts lately, we've been hard at work grinding out some ranked teams for the end of season rewards like the rest of you! That being said, this patch again features relatively few changes, which was why I was waiting to see if any interesting pieces popped up in the data. Although this week is relatively minor, you can be sure the next patch is going to be absolute insanity from what I've been hearing on the PBE! Which one of the following best describes Thresh? Thanks for your answer! Welcome to the Division Climber List and I hope you enjoy your stay. Customizing tier list to your specifications, please wait just a moment. Diana [God Tier Jungle] - I'm just quickly recapping Diana in a nutshell here since there are a lot of questions regarding her placement. In the fastest manner possible, it's simply that she gets her job done with relatively little in the way of counterplay. With her numbers the way they are now, she simply has to land her Q, and even if they flash after her first ultimate, her second can still chase and instantly burst almost any champion down in an extremely safe manner. This translates to a relatively high popularity combined with an extremely high win rate many patches in a row now. Ekko [Tier 2 Mid] - Ekko mid is an example of a somewhat new methodology I'll be using on the tier list going forward now. Although his win rate is one of the lowest in the game, sitting at 3rd from last, it's still high in an absolute sense at 47%. He's difficult to play relative to other champions, but he's still fairly balanced in terms of his kit and numbers at the moment, and as a result I think he deserves to be in the balanced tier. Fiora [God Tier Top] - After initially moving her down, it turns out that after adapting to her nerfs she's still very much a top tier top laner. Gangplank [Tier 1 Top] - In a few weeks we might see Gangplank play out similar to Fiora and start achieving more success when players get used to his new numbers. However, he definitely doesn't appear to be dominating nearly as hard as he used to before this patch. Kassadin [Tier 2 Mid] - Similar to Ekko, Kassadin is extremely low down on the list of mid lane champions. However, he's certainly still viable and can be a real threat if he gets ahead. As a result, he's being moved to Tier 2. Kindred [God Tier Jungle] - In their current state, Kindred is an extremely powerful champion in all divisions. 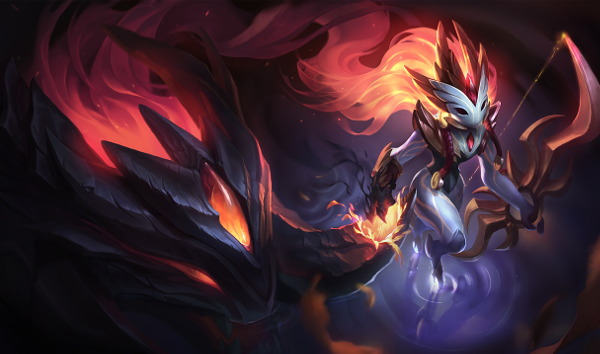 Their ultimate is still very much in favor of Kindred despite affecting both friend and foe, since they can easily time their jumps to first whittle down tanks during the course of their unkillable state, and then jump out to finish the job via kiting. The reason why Kindred is rated higher as a jungler than an ADC is simply because there are more AD carries that are on par with their power. Riven [Tier 1 Top] - The recent nerfs to Riven are definitely visible, but not particularly devastating to her overall kit. She's still strong in her current state. Ryze [Tier 3 Mid] - Despite Ryze being a popular Faker pick at the moment, it's really that...a Faker pick. He's still very underwhelming for most players, and there are definitely better picks in solo queue. In a team environment, they can play around his passive and chain CCs more effectively, but in a solo queue environment he underperforms. Udyr [Tier 1 Jungle] - In his current state, Udyr is actually a very strong jungler at the moment as he can quickly decide whether to be a gank or farm oriented jungler without skipping a beat. As one of the few champions with near perfect sustain in jungle combined with his early ganking ability, he does well against many popular solo queue picks. Veigar [Tier 1 Mid] - The nerfs to Veigar hampered his early to mid game ability to trade and farm effectively. In many instances what used to take two spells to clear now requires an extra rotation. This effectively slows down his ramp-up time more than you'd think from the raw numbers.